Lucasfilm's secrets department has sprung a leak! 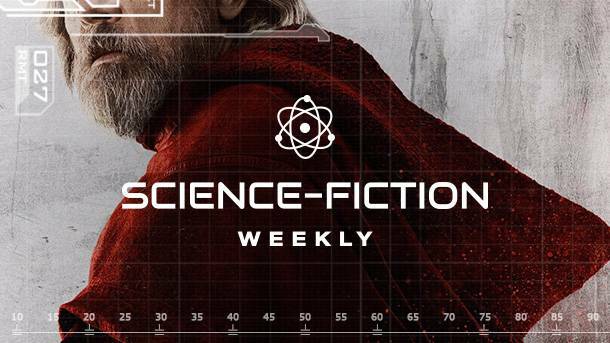 Dozens of savory details for Star Wars: The Last Jedi hit the web this week, revealing everything from plot points to actual lines from the film. If you want to remain as SPOILER free as possible going into the film this December, run away from this article as fast as you can. Most of the leaks are tied to merchandise, which retailers cannot seem to keep off of shelves, even though none of it is supposed to go on sale until September 1. The most interesting leaks are from action figures that spout of lines of dialogue. A Kylo Ren figure features 60 different sounds and voice clips from the film. A video of the toy hears him say a few interesting things, such as "Don't be afraid." My immediate reaction is he's entering someone's mind to probe for information, but he could also be talking to Rey, should they meet up again. Other lines are "I've been waiting for you," and "No! It's too late!" That last one has to be targeted toward a reunion with Luke Skywalker, right? In the beginning of the year, Pokémon Center began a line of Pokémon performing signature moves called Gallery figures. The first wave featured Pikachu, Mew, Eevee, and Magikarp, while the second wave had Cubone, Vulpix, Psyduck, and Jigglypuff. This third wave is decidedly smaller, containing only two figures: Espeon, who is performing light screen, and Umbreon, who is performing dark pulse. The company sent us both of the figures to check out for ourselves. Each character features a high level of detail and cool move effects surrounding them. You can see all of them and their packaging below. The figures are currently available on PokémonCenter.com and retail for $16.99. 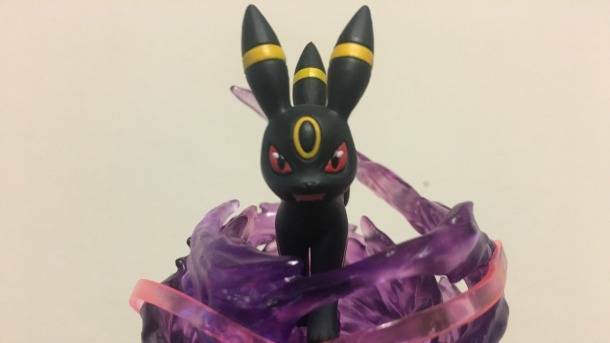 For a photo gallery of the first wave of figures starring Pikachu, Mew, Eevee, and Magikarp, head here. For our look at Cubone, Vulpix, Psyduck, and Jigglypuff, head here. With our month of coverage highlighting Call of Duty: WWII to go along with our September cover story, we're offering exclusive new information at Sledgehammer's new game. While we've shared our extensive thoughts on the game's new social space called Headquarters in this clip from the GI Show podcast, now's your first chance to see the mode in action. 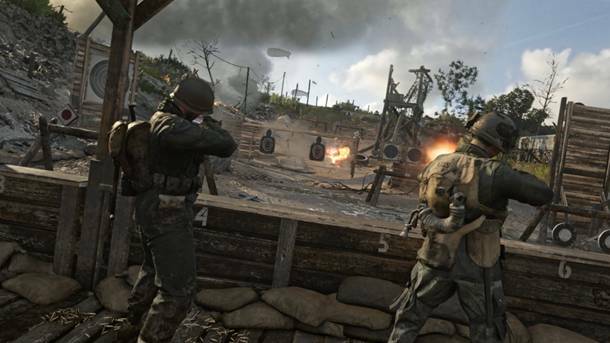 Headquarters offers a new experience for fans of Call of Duty, where players can meet up and interact with other players in interesting new ways. Watch the trailer below for your first look at Headquarters. 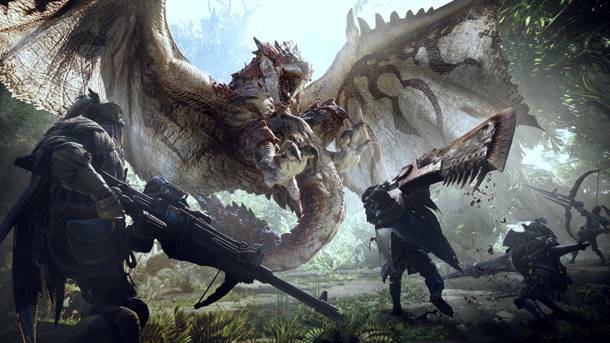 Monster Hunter World is on the horizon, and the four biggest Monster Hunter fans in the office recently had the chance to sit down and play through some of it. They experimented with giant guns, tracking monsters, and shooting monsters with giant guns. You can watch a playthrough below of both a single-player mission and a four-player cooperative one. 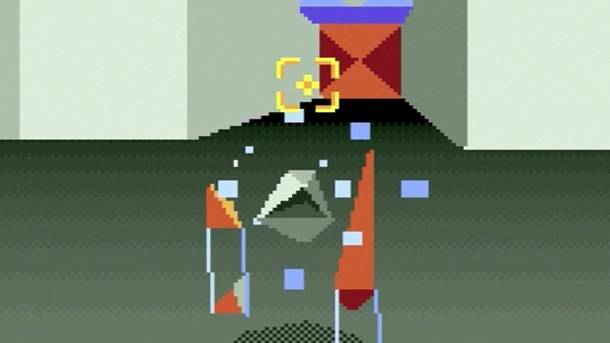 One of the most intriguing aspects of the SNES Classic Edition is the inclusion of the unreleased Star Fox 2, and we recently got a chance to play it. Star Fox 2 was developed and completed in time for a 1995 release, but Nintendo shelved it to begin its transitional 3D work on the Nintendo 64. It was thought the game would never see the light of day, but that all changes on September 29 with the release of the SNES Classic Edition. In the video below, you get to watch Imran's playtime, hear his impressions of the thought-lost game, and more. 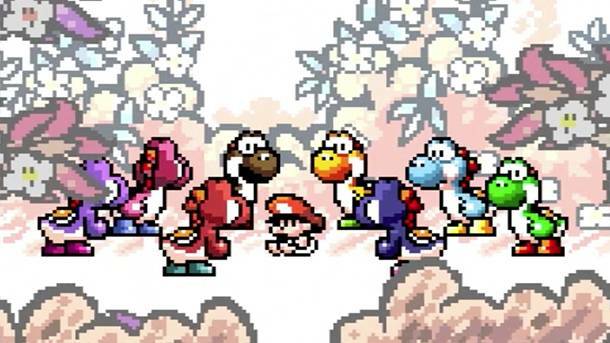 News editor Imran Khan recently got the chance to play with the SNES Classic Edition, explore its menus, listen to its music, and try out some of its games. In first video below, you get a good look at the menus and get to see how quickly games can be loaded and shut down. You also get to hear Imran Skype in and give his impressions of the system as he tries out Super Mario World, Super Ghouls ’n Ghosts, Contra III: The Alien Wars, Yoshi’s Island, and Mega Man X.
Uncharted: The Lost Legacy is available to play right now! We couldn't think of a better way to celebrate this occasion than spoiling 30 minutes of the adventure for you. We actually do our best to avoid the spoilers, but kick off the video by showing a solution to a tricky puzzle. We spend most of our time exploring the open world, taking in the sights and sounds, and a few bullets along the way. This brief look at the game should give you a good idea of what to expect from this new standalone adventure. 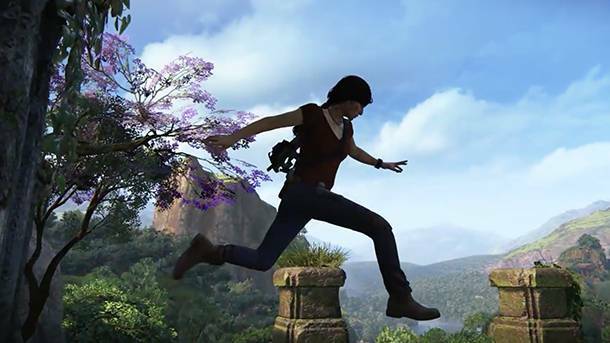 If you like what you saw, but still need to know more, check out our review, in which we gave the game a 9 out of 10, and say Chloe and Nadine make a hell of a team, and should return for another game. We’re just one short week away from what is one of most hyped sporting events of all time: Floyd Mayweather vs. Conor McGregor. It’s the biggest name in boxing versus the biggest name in MMA, and even if you’re not into sports, you’ve likely heard at least a hot take or two. 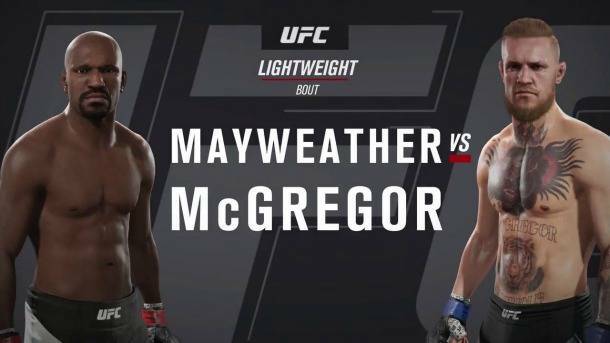 Fans often turn to video games to predict major sporting events like the Super Bowl, and for us, Mayweather v. McGregor is no exception. We wanted to find out who would win the boxing bout, so we simulated the highly anticipated fight inside the most recent boxing video game we could find. But given the short supply of prizefighting video games (and the overall one-sidedness of the contest), we didn’t stop there. We pit Mayweather against McGregor inside an MMA ring, a professional wrestling ring, the Soulcalibur universe, and finally, an MLB ballpark to see who is the greatest of all time. Note: Some statistics like reach and weight are not accurate given each game’s restrictions on weight class and custom character creations. 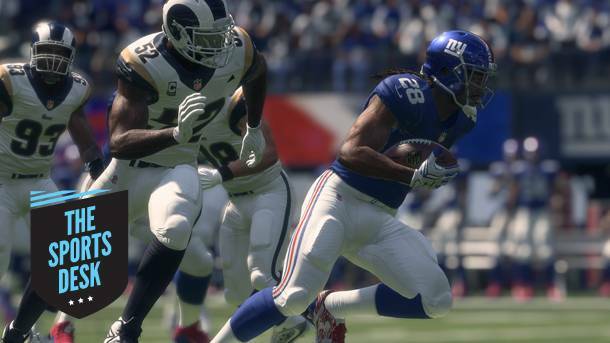 Like most years, the new Madden title has gameplay additions and tweaks from previous years that mean that even long-time players may face an adjustment period. Its focus on competitive play has also resulted in some gameplay and mode changes take some getting used to. Here are some of the nuances and my recommendations for dealing with them. For more on the game, be sure to check out my review, a guide to the Longshot story mode, and a primer for Madden 18's new Target Passing. The running game feels really good in Madden in 18 – and that's before you even juke, spin, or stiff arm. In fact, I suggest not using the precision modifier (left trigger) to change direction at the line, which can only slow you down and even initiate a strange pullback animation where your running back skips his feet. 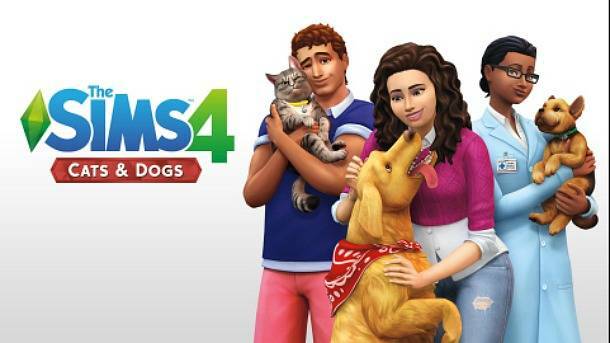 The Sims 4 may have come out three years ago, but EA is still hard at work expanding the game both via pushing to new platforms and by adding additional content to the PC and Mac. Today at Gamescom, EA announced the long requested Cats & Dogs expansion pack with the help of web celebrity dog Jiffpom. You can choose breeds, customize their coats, and try to recreate you favorite furry little friend. You can either make an animal from scratch and give them unique traits, or find a stray in the city to adopt and learn about its personality as you cohabitate it with your Sims. You can train them and even dress them up in costumes. The Cats & Dgos expansion also creates a new veterinarian profession for your Sims.